By Kay Tan in Internet. Updated on November 9, 2017 . If you’re a video fan and spend a lot of time watching online video, here’s a must-have Firefox add-on for you to play a particular online video at Firefox sidebar – YouPlayer. In short, YouPlayer is a video player with playlist which works on Firefox sidebar while you are surfing the Internet on the right. Firstly, install YouPlayer Firefox add-on. 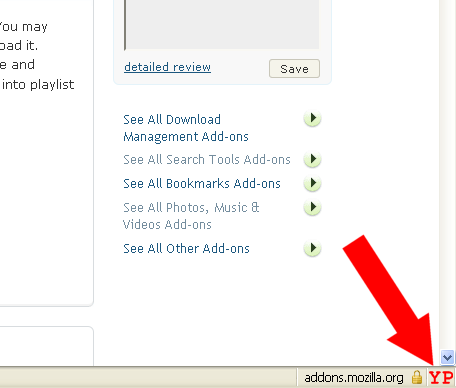 Upon installation, click on “YP” on the bottom right side in your Firefox browser. To start to watch an online video, you can click on “Search” button in YouPlayer to search a video in YouTube, Google Video, Metacafe, DailyMotion or MySpace. 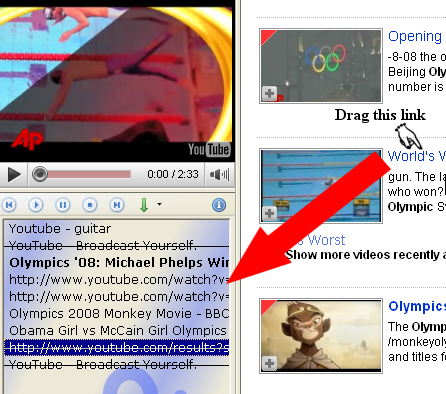 You may drag and drop a link or local files from hard drive into a playlist window. When you double-click of it, it will be loaded in the video window. You can save the playlist and make it work as a bookmarker so you can always continue to watch the unfinished video in your playlist.